Just what England cricket fans have been waiting for. 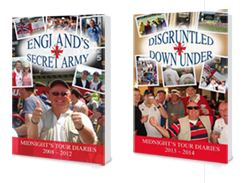 A cricket tour diary not concerned with boring autobiographical details or statistics but about the grim reality of a supporters life on tour following the England Cricket team between 2008 - 2012. This is the story of Midnight's travels with the Addis Army - a motley group of England cricket fans first thrown together in Ethiopia on the 2004/05 tour to South Africa - who knows, you may have been there. Here the humorous side of cricket touring will be revealed, together with the mishaps, accidents, drunken nights out, romances and even the occasional wedding! The further booze-fuelled adventures of the Addis Army, this time in the Antipodes, where we were privileged to watch the worst Ashes Cricket tour in history, and also the less-publicised but equally dire tour in New Zealand earlier that year. 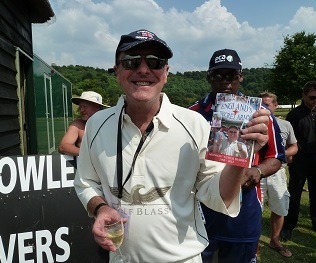 2013 was truly English Cricket's Annus Horribilis as regards away Test Match tours, and as usual plenty of medicinal alcohol would be required to survive it! 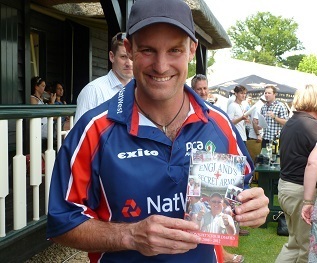 This book is dedicated to the many cricket supporters who wasted their hard-earned money travelling to Australia to watch the Ashes. I apologise in advance if reading the book causes any recurring nightmares!